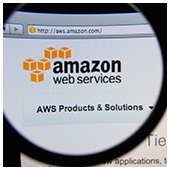 At a recent cloud technology conference, Amazon Web Services (AWS) launched a tool to help streamline data analytics in the cloud. This new tool, named “Glue,” is designed to help reduce the burden on engineers and employees so they can get down to the important elements of data analytics. Read on for an explanation of the AWS Glue and all the ways it can benefit your business.